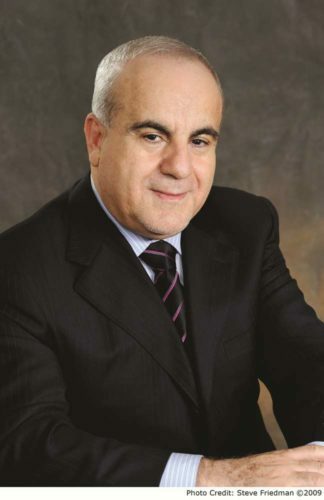 Ghazi Abu Nahl is the Founder and Chairman of Nest Investments (Holdings) Ltd. Nest Investments is a diversified international business group operating across more than 23 countries in North America, Europe, Africa, Middle East and Asia Pacific. Founded in 1989, Nest Investments was one of the pioneers of insurance in the Gulf region and has become a regional leader in the space, as well as developing significant expertise in other areas, notably real estate and banking. The Group holds assets of over $5 billion today, with annual turnover in 2017 in excess of $750 million. In 2013 Mr Abu Nahl received the Life Time Achievement Award from the Federation of Afro-Asian Insurance and Reinsurance for his service to the MENA insurance industry. He also has a strong connection to the UK insurance industry and has been a member of Lloyds of London for several decades. He and his wife were made a member of the Oxford University Chancellors Court of Benefactors in 2017. Q: Your background is incredibly interesting. Tell us a little more about you and your early life. Ghazi Abu Nahl: It has been interesting, that’s correct! I was born in the small Palestinian town of Barbara in 1946 and by 1948 my family had been forced out of our home as a result of the occupation. Israeli forces had taken our village and we were now refugees living in Gaza. With seven brother and five sisters to feed (I was the eldest at 11), we all quickly learned that making ends meet was a matter of life or death. I worked hard throughout my childhood and did well in my studies, meaning I was able to go to university in Cairo aged 17. Right away it became apparent that my parents were struggling to pay my fees – I only managed 40 days before the guilt sent me home. Q: So the working world beckoned? Ghazi Abu Nahl: Indeed it did. I wanted to help my parents pay for my siblings, and so I found work in Qatar. I don’t know if it was fate, but I found work at an insurance agency called Arab Commercial Enterprises. They were exceptionally good to me, training me on the job alongside the other young staff. I made little money and lived a very basic life at first, but the business grew well and expanded into other Gulf states as the economy swelled. The job taught me everything I know about insurance. It was not a popular concept in the Gulf at the time: it was seen as anti-Islamic and a form of gambling. Only British expatriates seemed to flourish in the industry and we were the only company working in Arabic and serving local people. Still, we made the case that insurance would help to secure the future of families and this idea caught on. I worked at the company for a very happy 20 years and was able to significantly lighten the financial burden for my parents. Q: So how did Nest Investments come about? Ghazi Abu Nahl: With all of my siblings now grown up and secure, I knew it was time to take a risk with my career. I’d set up my first enterprise Qatar General Insurance & Reinsurance Company, in 1979 whilst still working for Arab Commercial Enterprises. In 1986, my wife and I moved our family to Perth, Australia in search of a new challenge. However, I was travelling to the Middle East and in due course acquired Trust International Insurance and Reinsurance Company (Trust Re)in Bahrain and set up Nest Investments, our family holding firm in Jersey but operationally run from Cyprus. I wanted to consolidate all of the work my family had done over the years in one place – you never know what the future might bring and I wanted to be sure that we wouldn’t struggle again. Our first business is named ‘Trust’ because that is exactly what we have always tried to build – a group of people, be it a business or a family, that can rely on each other. Q: How do you continue to build trust in your businesses? Ghazi Abu Nahl: Even after all this time, trust is central to everything that I do as an Abu Nahl and my clients and employees can trust that our hard work and perseverance will pay off. I never build relationships that are one sided – instead I ensure that everything we do is mutually beneficial. I make sure to address any issues that arise honestly and head on. People don’t trust people who can’t provide straight answers. I’m also never afraid to apologise when something goes wrong and I will take the responsibility for finding the solution for clients and employees alike. It’s not always easy, but I strive to be patient and understanding in all of my business relationships. People’s time is of increasing value, and offering flexible solutions goes a long way to building up partnerships that work for everybody. Q: What are the biggest barriers to building trust that businesses are facing today? Ghazi Abu Nahl: I believe that an over reliance on the internet and social media has been detrimental to levels of trust in business. We are quickly learning that web search results and social media feeds don’t always tell the truth and it is getting harder and harder to filter through the noise and find the facts we need to make good decisions. In the last year alone, news stories about Russian bots, fake news and manipulative social media algorithms have called corporate communications and relationships into question all over the world. Can I trust what this business is telling me anymore? Business leaders need to make sure that the answer to this question is yes, and I recommend taking relationships back to basics – and face to face – to achieve this. Q: Do you have any advice for business leaders on how to build trust? Ghazi Abu Nahl: When you run a business you have to lead by example – if your staff trust you, they can learn a great deal from your words and actions when building trust with the clients. The days of being a ‘hands off’ leader are over. Instead, business leaders must be genuinely interested in the welfare of staff and clients, and this interest must be visible. I’d advise leaders to abandon their corner office and sit in amongst the action. Have an open door policy, and encourage your team to bounce ideas off you. Make sure that clients know that they can send you an email or pick up the phone whenever an issue arises. Advise those who need you honestly and with your expertise. 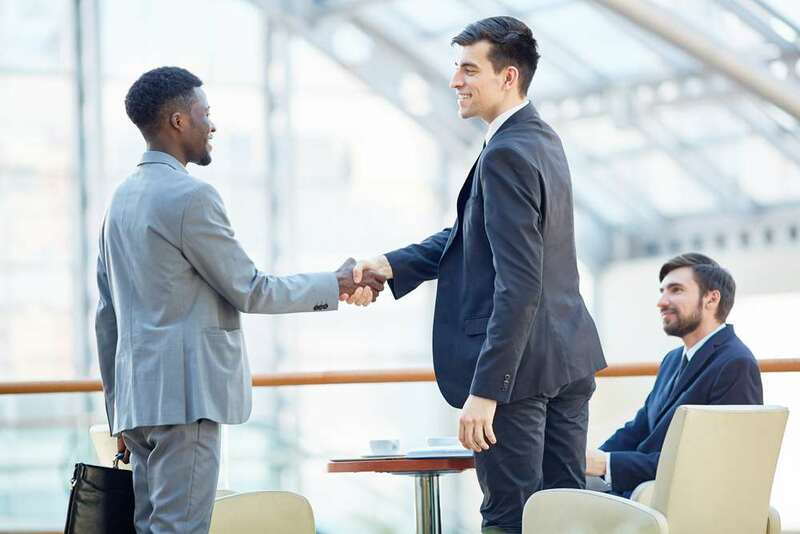 You can draw on your professional and personal experience, and you should talk openly about your successes, failures and what you’ve learned along the way. With a commitment to honesty and openness, trust will come.